You’ve probably heard in the past that blogs are important for freelancers. But you may think that advice is outdated. You may be thinking that a blog is not for your freelancing business. After all, you’re active in social media and you have a website, that should be enough–right? Quite simply put, there are still some things a blog can do for your freelancing business that a plain website cannot. In this post, I’ll list some of those things. I’ll also describe how you can overcome some of the blogging obstacles that many freelancers face. You may think that it’s enough to be active on social media. While it’s true that if you share enough relevant information (known as content curation) to clients, colleagues, and potential clients you should attract more business, there should be more to your online strategy. You Control It. While social media platforms may seem stable, there are no guarantees. I can remember a few years ago when many bloggers were joining a popular social media platform called MyBlogLog. Unfortunately, that social media tool no longer exists, although you can read about it on Wikipedia if you like. While it’s unlikely that any of the major social networks will shut down, you really have no control over what happens to them or to any content you share. In contrast, your freelancing blog is totally your own. Better Placement in Search Engines. Again, there are no guarantees. There is some evidence that sites with frequently updated high quality information rank higher in the search engines. If you are blogging, that means that you are updating your information often. And of course, you will make sure that your freelancing blog contains only high quality information. While a static site is better than no web presence, continually updated content gives readers a reason to come back to your site. Builds Client Relationships. A blog can become a community where relationships and trust are built. It’s a way for your clients to get to know you and for you to get to know your clients. Having a blog gives your clients one more reason to feel good about doing business with you. Plus, it can be a real competitive edge if a client is trying to decide between doing business with you and doing business with a freelancer who has nothing more than a website listing their services. Of course, having a blog for your freelancing business does come with its challenges. Many freelancers give up on having a freelance blog because of the obstacles that go along with blogging. While blogging requires some work on your part, all of the obstacles can be overcome. No Ideas. This is one of the biggest complaints that I hear freelancers make. They may start a blog, post a few times, and then quit in frustration when they can’t think of anything else to add. Luckily, there is a lot of help available. Many reputable sites have listed ideas that you can use to develop blog posts. Here are a few of the better ones–from Andrew K. Kirk on Social Media Examiner, 7 Effortless Ways to Find New Ideas for Your Blog; from Susan Gunelius on About.com Blogging, 20 Ideas for Writing a Blog Post. Not a Writer. Other freelancers give up on maintaining a blog for their freelancing business because writing isn’t their specialty. They may be a graphic designer, a programmer, a photographer, or some other type of freelancer. They don’t write and they don’t like to write. However, not being a writer shouldn’t keep you from having a freelance blog. You can hire a freelance writer to get your message out. Or, you can make use of high quality guest posts to build up your blog. Trolls and Other Problems. Other freelancers shy away from blogging because they are afraid of negative comments or spam. The truth is that while you may get a few negative comments, trolls are less common than you might think. And if you aren’t writing about something that’s controversial, you might not even have to worry about them. Even if you do face some negative comments or get overrun by spam, remember that there are many effective spam filters out there. And you can delete any comment that doesn’t seem relevant. Too Popular. Another complaint I hear is that the freelancer is too popular. Either the blog is generating so much traffic that the freelancer can’t keep up with it or the freelancing business itself is too busy. We should all have this problem! If this is your challenge, remember that you don’t have to do it all yourself. You can (and should) outsource those parts of your business that can be outsourced. This can include managing your freelancing blog. 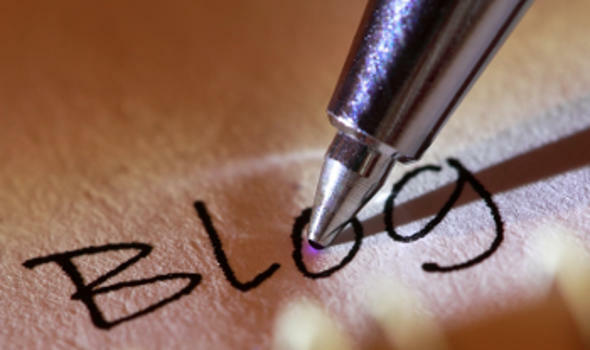 Do you have a blog for your freelancing business? How do you overcome the obstacles? Share your ideas and experiences in the comments.